Although I only spent around 24 hours in Cologne, I still feel like I managed to pack a lot in, thanks to my guide – my extra-special German bestie! 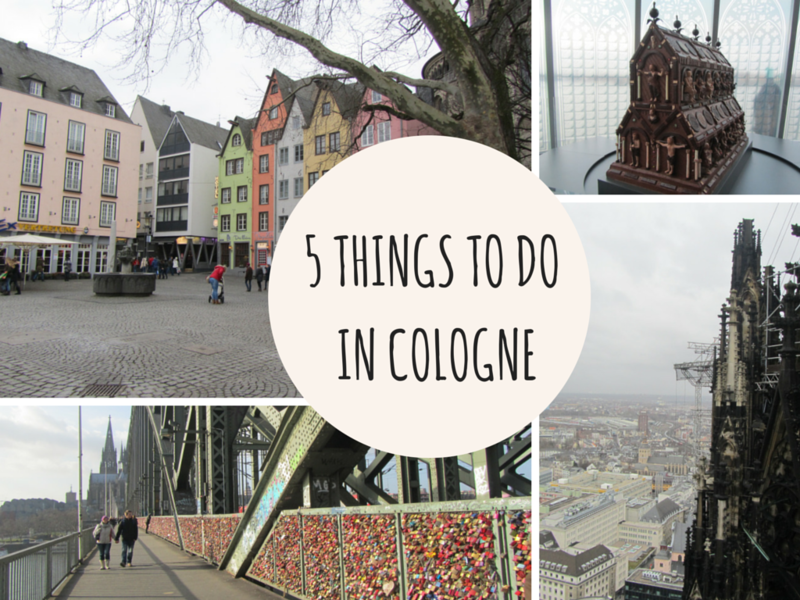 Although she doesn’t live in Cologne, she’s visited before and has some good friends in the city, so was able to suggest some awesome things to see during my quick trip. 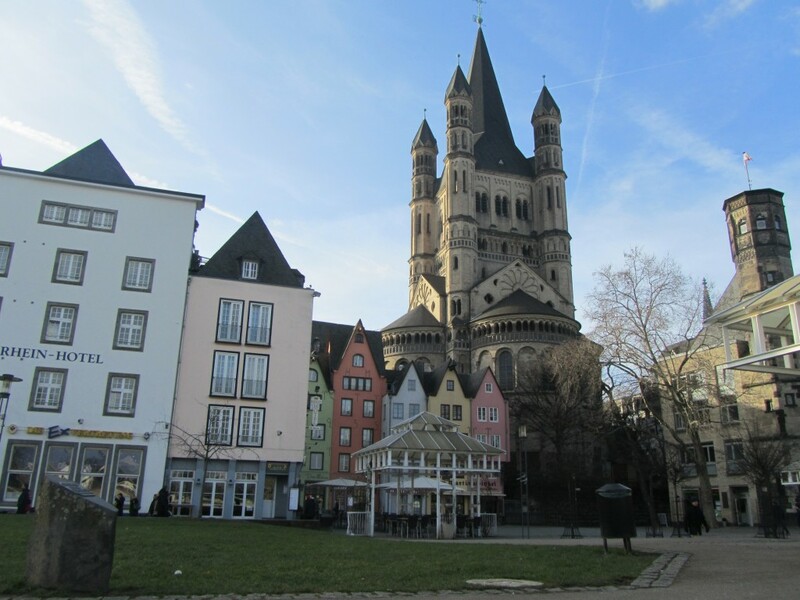 There’s a lot more to Cologne than just Gothic architecture and churches (although, granted, both are featured on this list. Can’t fight what’s worked for the city over the last few hundred years). Although over 70% of the city was destroyed in the Second World War, it’s still a hot-bed of history, cultural sights and scenic views. If you’re planning a trip to this incredible city, here’s a list of things that must be on your to-do list. 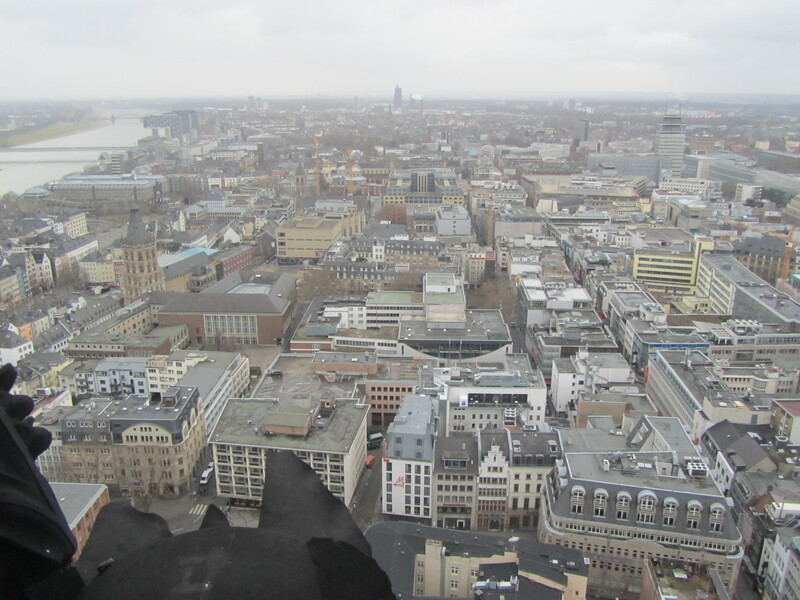 Although I wrote about almost dying in my endeavour to scale the almighty Cologne cathedral, I would definitely recommend it to everyone who visited. The cathedral is at the heart of the city, with its twin spires often acting as points of reference when you have absolutely no idea where you’re going. Entry to the cathedral is free, and is worth doing for half an hour in order to admire the beautiful stained glass windows. Although it requires a bit of physical effort, the climb only costs €3 and you’re treated to some incredible views out over the city’s rooftops. If it all sounds a little like too much hard work, maybe take a visit to the KoelnTriangle instead. It’s a similar height to the cathedral (100 metres) and gives you uninterrupted, panoramic views. It’s the same price, but the added bonus is it involves a lift! 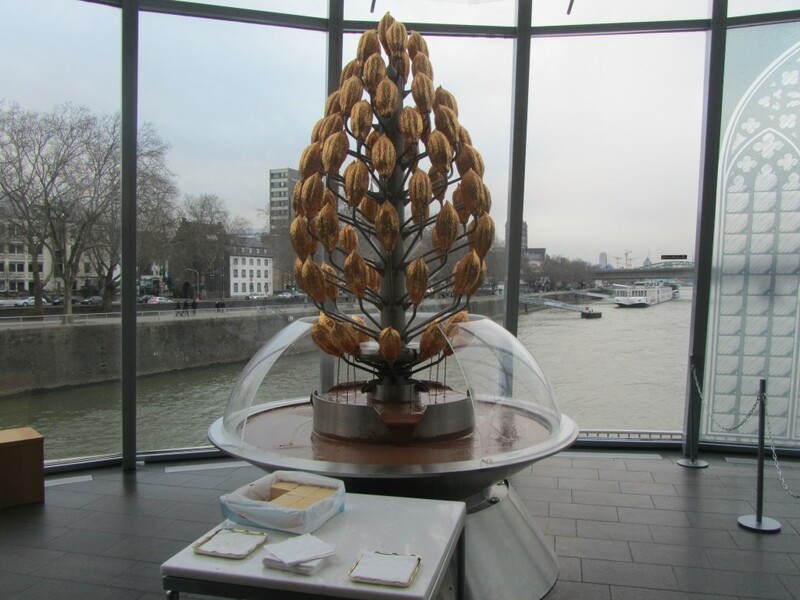 Combining facts about chocolate with a tropical garden and interactive kids’ sections the museum finishes up with the opportunity to follow the production of chocolate from the mixing of ingredients, right through to the moulding. This is the best section because it also involves a huge chocolate fountain where a member of staff hands out samples. While at the chocolate museum, it’s also worth taking a look around the comprehensive shop which sells all manner of chocolatey goodness. 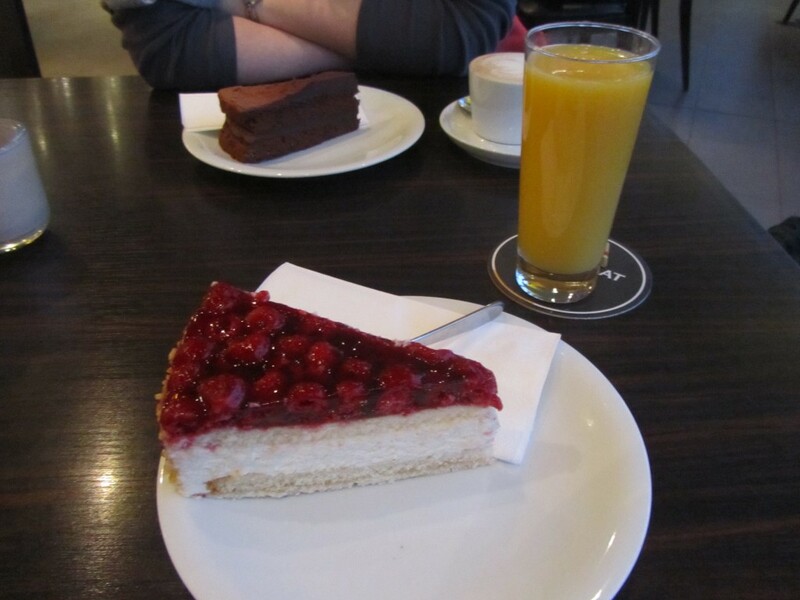 It’s a little on the expensive side, however, so we opted to just have some delicious cake in the cafe. 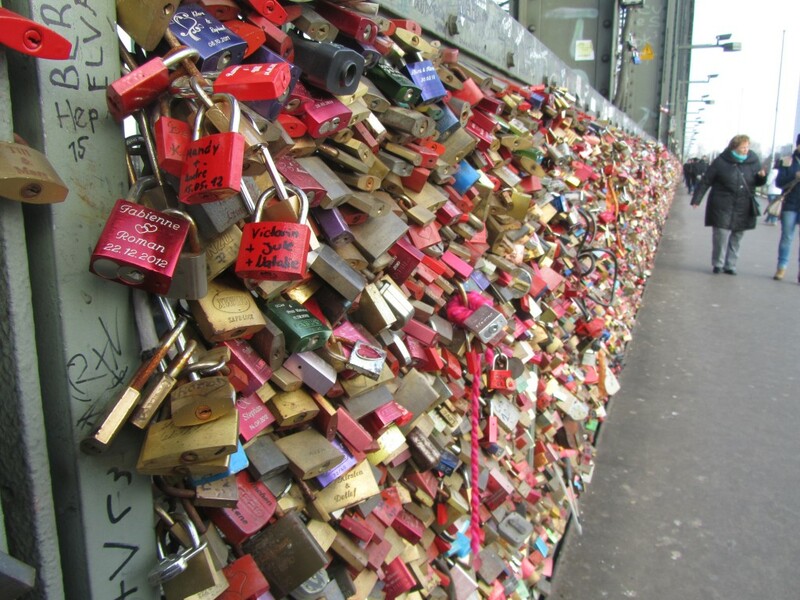 Connecting one side of the Rhine to the other, the imposing Hohenzollern bridge is now covered with padlocks from people declaring their love. You can spend hours walking up and down admiring them and their personalised messages, with many sparkling in the sunshine in a bid to catch your attention. 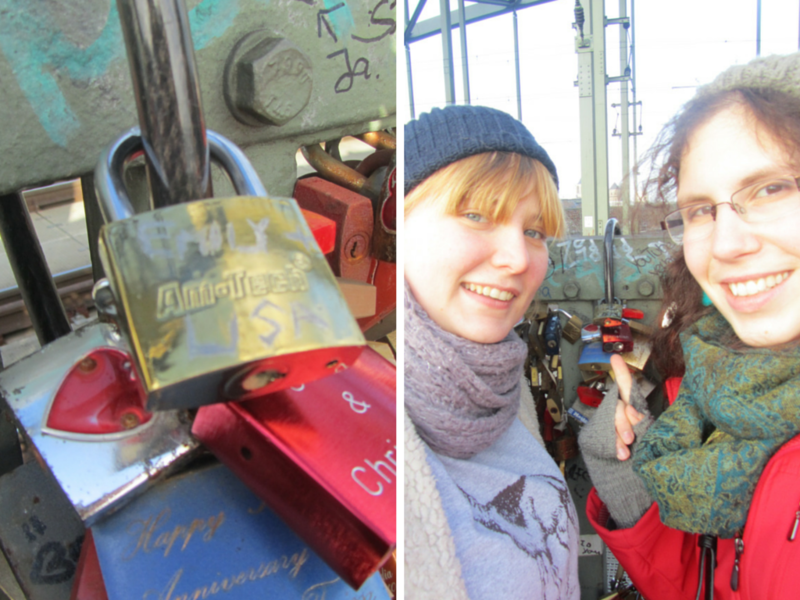 My friend and I put our own little love-lock on the bridge in order to commemorate our Cologne jaunt. In a few years time we hope to return to see if we can find it! It might seem like a little bit of a cop-out for this list, but walking along the Rhine was one of the best things we did on our trip. 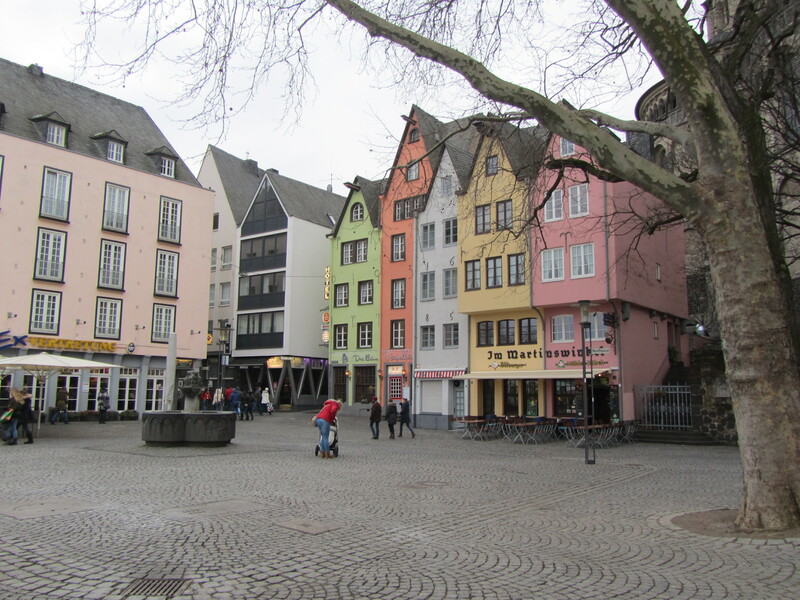 From a man blowing giant bubbles for kids, to discovering the most colourful little square and the ancient Groß St. Martin, the walk was full of sights. Along the river you can also pick up a cruise which will take you around the city. We didn’t have time to do this, but these cruises are usually my favourite way of exploring. The city’s Old Town is full of old-world charm, cobbled streets and colourful buildings. Our hotel was nestled within the Altstadt, so we would often have a wander through the quaint little roads on our way to the next point of interest. You also don’t have to travel too far out as it’s just a 3-minute walk from the cathedral. The Groß St. Martin (pictured above) is located in the Old Town, as are dozens of pubs, restaurants and historic museums. It’s well worth taking an afternoon out of your trip just to have a little stroll through the rustic alleys. You never know just what you’ll come across. Have you been to Cologne? Is there anything else you would add to this list?